Thank you to Art Sippo for recording my readings at Pulpfest/Farmercon 2017 on his wonderful podcast Art's Reviews. I read short excerpts, which included complementary chapters from Greenshift and Starrie, which I have always wanted to do because this particular bad guy from Greenshift doesn't get his comeuppance until Starrie. 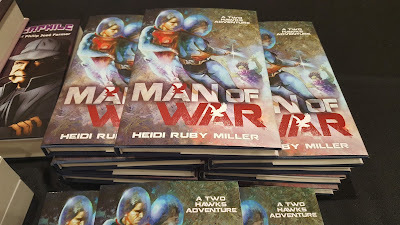 And, of course, I read from Man of War in honor of its launch that weekend. Enjoy!